Dunno what you guys have for money pit hobbies, but this is my spring time pit. All started with 25 taps about 25yrs ago when the kids were little, boiled sap in pots over turkey burners making a couple of gallons of syrup a year. Did a little presentation for their 2nd grade classes back then, even had a teacher comment on how much sugar I added to make it that sweet…………..ooooooooooooooooookay. Eventually the kids got older, busy with spring sports, and interest was sorta lost so I shelved everything. 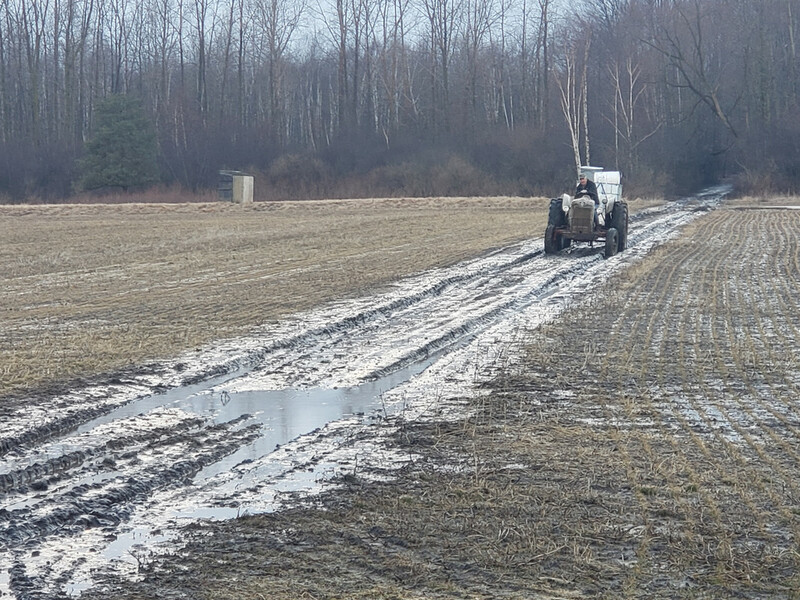 Fast forward to about 6yrs ago, buddy seen the equipment, made comment we should start doing that, so we tapped 25 trees and we made about 3 gallons of syrup. That didn’t last long, so next year we tapped 75 trees and made about 9 gallons, all cooked down in pots over turkey burners at about 6 gallons of sap a hour @ a 45:1 ratio, yeah, lot of long nights cooking!! Between the LP and beer bill, this was the beginning of the money pit. About 3-4 years ago I met a young fella 35 miles away who just bought a big arch, he could cook in a hour what took us 10, a deal was struck up for him to do it for halves, so we went big time and tapped 150 trees, put a 275gal tote in the back of the ole Dodge and trucked tote loads of sap to be cooked !!! 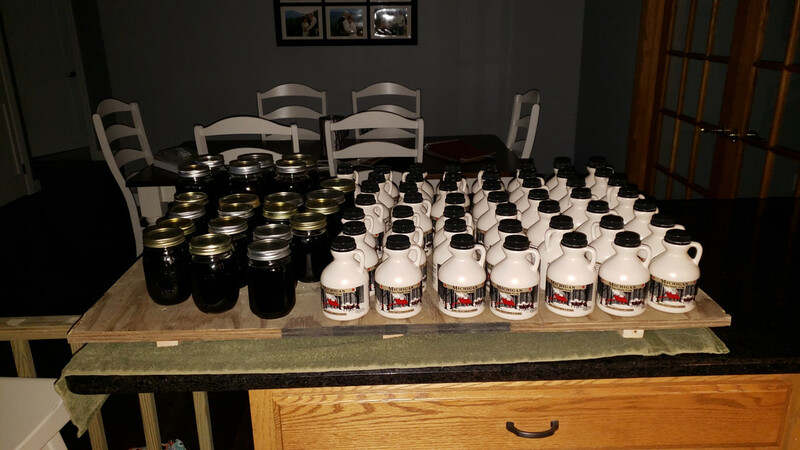 About 20gals syrup was our cut, split with buddy, even shared a few pints with friends and family, no comments from better half on expenses, life is good. Following year we expanded to around 250 taps, tossed a few more $$ is the ole money pit, bought a 300 gallon loaf tank for my F350, 35gal syrup our cut, better half (now my wife) made comment on fuel expense but have plenty to share with family and friends now, life is good!. 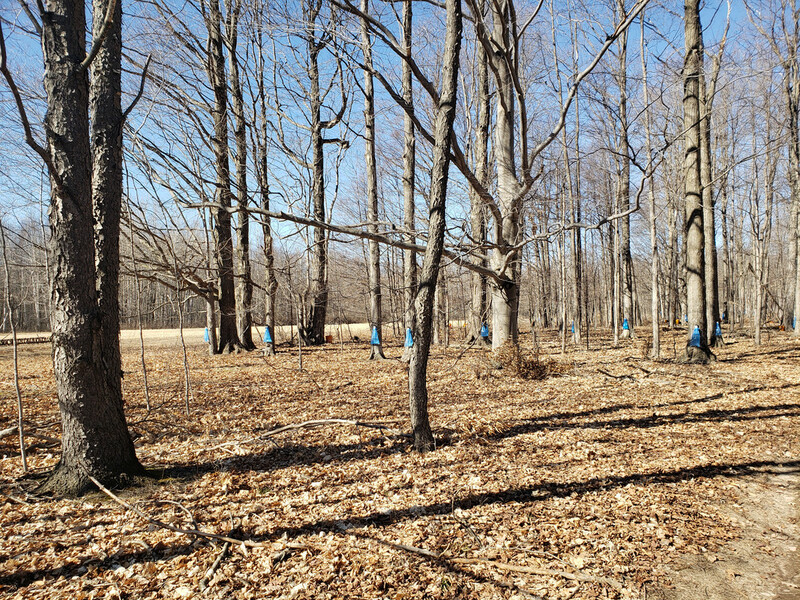 Last year we went all out and tapped every tree over 10” I had in the woods, right around 300 taps now. 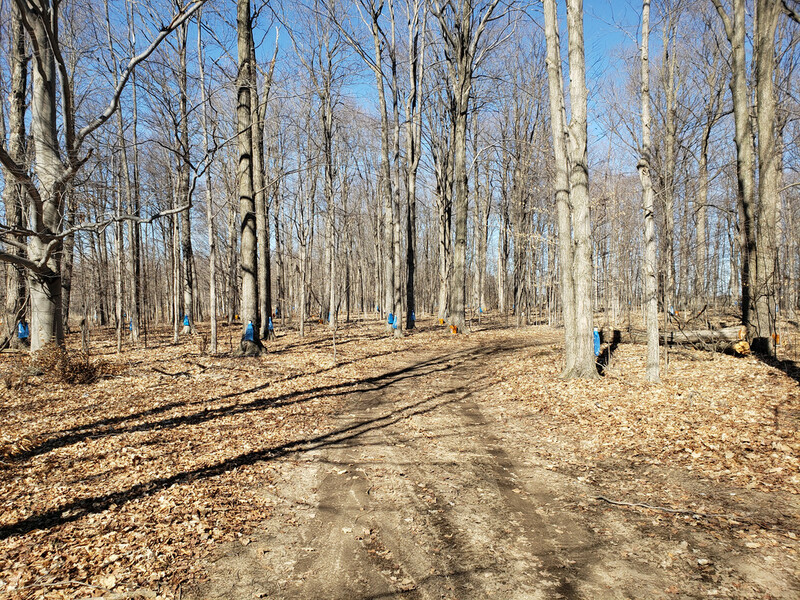 Built a couple of gathering trailers with totes, bought a new transfer pump for the shed, was a big year for sap, even had wife trucking sap on her off days, some days taking two 300 gallon loads, 21 trips total, end of season we had whooping 62 gallons syrup, good year!!!! That’s about when SHTF with the now “warden” and expenses, she had all the supplies and new stuff for expansion added up (money pit just got a good bit deeper), even had figured my fuel bill down to the penny and when buddy chimed in it was cheaper than the beer bill she had to go figure that out. Seeing I only frequent one local party store here, it was a quick add for her and wasn’t good news, yeah, beer bill was more than the fuel bill. Personally, we don’t think the party store bill should be added as expenses!!! Long story short, it’s a brutal couple weeks lugging buckets, usually tap trees late February here, check bags after work, dump if needed, all varies on what mother nature decides to put out. We’ve had 100 gallon nights and we’ve had 800 gallon nights this year and sugar content was really good this year for a change. Have to tally up the sap numbers, I know it’s less than last year, but still a good year…………………………. Until the expense report come in!! I've had the good fortune of trying Al's miracle elixir and it is primo! That having been said, when a hobby becomes more like work, my philosophy is that it better start paying like work. Al-Thanks for sharing your story and pictures. I'd give the party store owner hell for sharing "privileged information". Hoot wrote: I've had the good fortune of trying Al's miracle elixir and it is primo! That's the paying part right there bud was short 2 week season this year, had roughly 4400 gallons of sap thou, just finished washing everything up last weekend and put away till next February. Holy crap, that's a lot of syrup! That's a cool hobby, though. For me, firearms are the money pit hobby. I spend more then I should on them, I don't need another hobby taking even more! Although, I have been contemplating a project vehicle. "For me, firearms are the money pit hobby. I spend more then I should on them,"
I know the feeling. But dang I love bringing a new gun home. I've tried it also, and it's great! I'm diabetic, so I have to limit my intake.